How do we live with the fact that we are destroying our world? Because of social taboos, despair at the state of our world and fear for our future are rarely acknowledged or expressed directly. The suppression of despair, like that of any deep recurring response, contributes to the numbing of the psyche. Expressions of anguish or outrageare muted, deadened as if a nerve had been cut. This refusal to feel impoverishes our emotional and sensory life. We create diversions for ourselves as individuals and as nations in the fights we pick, the aims we pursue, and the stuff we buy. How to confront what we scarcely dare to think? How to face our grief and fear and rage without going to pieces? It is good to realize that falling apart is not such a bad thing. Indeed, it is as essential to transformation as the cracking of outgrown shells. Anxieties and doubts can be healthy and creative, not only for the person but for the society, because they permit new and original approaches to reality. Acknowledging despair, on the other hand, involves nothing more mysterious than telling the truth about what we see and know and feel is happening to our world. When corporate-controlled media keep the public in the dark, and power holders manipulate events to create a climate of fear and obedience, truthtelling is like oxygen. It enlivens and returns us to health and vigor. Sharing what is in our heartmind brings a welcome shift in identity, as we recognize that the anger, grief, and fear we feel for our world are not reducible to concerns for our individual welfare or even survival. Our concerns are far larger than our own private needs and wants. Pain for the world—the outrage and the sorrow— breaks us open to a larger sense of who we are. It is a doorway to the realization of our mutual belonging in the web of life. Many of us fear that confrontation with despair will bring loneliness and isolation. On the contrary, in letting go of old defenses we find truer community. And in community, we learn to trust our inner responses to our world—and find our power. In primal societies, adolescents go through rites of passage, in which confronting their own mortality is a gateway to maturity. In analogous ways, climate change calls us to recognize our own mortality as a species. With the gift of uncertainty, we can grow up and accept the rights and responsibility of planetary adulthood. Then we know fully that we belong, inextricably, to the web of life. Then we can serve it and let its strength flow through us. Hello everyone, hope you had a good summer. 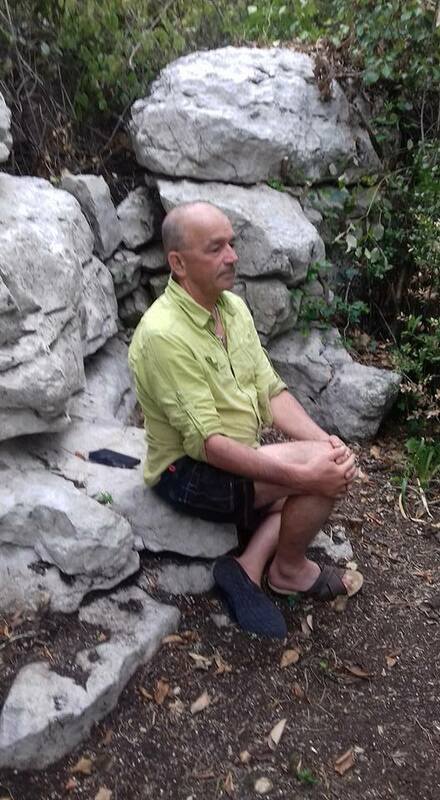 Here’s a pic of me last week sitting practice “on the rocks” in the Ardeche – cool way of being in a heat wave? Indeed, you might ask the question of anyone offering a mindfulness course. There are suddenly a lot around – and many more in an online form, or as an app. The thing is, there are as yet no formally recognised training routes, no final qualifications, no official accreditations. Anyone can claim to be a mindfulness teacher – indeed, my facebook feed this morning has just enticed me with “want to offer your own mindfulness trainings – download this free pdf that tells you how” from an outfit called Positive Psychology! Some professions: lawyers, architects, GP’s are state regulated to attempt to ensure high standards of training and practice – my own is! As a chartered psychologist I was required to undergo many years of post-grad education, supervised practice, scrutiny and inspection. Not so with mindfulness – regardless of my own rigourous & sustained training in mindfulness since the mid 80’s, there’s nothing to stop a reader of that pdf putting some slick marketing together (perhaps it comes with the pdf?) and offering an attractive (cheaper) alternative. It’s a big investment – doing an 8 week mindfulness course: your time, your money, your commitment to weekly practice. And, potentially, it is a huge, lifelong return on that investment. So how can you ensure that both the teacher and the teachings are authentic? Most academic routes towards training require an initial 8 week course followed by at least 2 years of formal daily practice development. Various trainer development levels are achieved following on to an MSc. in study and practice that can take up to 6 years. At this level trainees undertake supervision with senior practitioners, and with student peer groups examining their teaching style as they apprentice with recognized teachers. Attendance at 7-10 day silent mindfulness meditation retreats is recommended – at least annually. Engage in dialogue with a ‘would be’ teacher – it may be difficult to question but an authentic teacher will be able to answer without being defensive. Ask, is the person known to the local community as a mindfulness teacher? Is he/she in supervision? 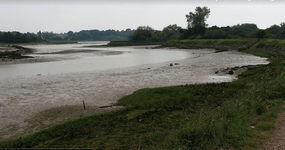 In Suffolk we have a mindfulness teachers’ peer support group. A chance to recognize and stand-by each others work and develop best practice guidelines – early days, but taking an initiative to safeguard the quality and integrity of teaching this approach to wellbeing about which we all feel so passionate. What should you pay for an 8 week course? Pay what it is worth to you! That’s no joke – most of my earliest teachings were offered on the basis of dana – the teachings were considered to be priceless and so no price was put upon them, donations were simply invited. That’s challenging in this secular consumerist society – I follow the same practice as I do as a Psychologist offering counselling, psychotherapy, mediation – pitch my fees at the lower end of the market rate and offer flexibility to those who are in genuine financial hardship. Working as a psychologist with mindfulness informed models of psychotherapy is deeply satisfying work. Working in dialogue with people towards finding their own internal resilience against repeated episodes of those all too common, human challenges: of depression, anxiety, stress, and addictive self-defeating patterns of behaviour is rewarding and it is a privilege to be in a position to help. But I also get great satisfaction – of meaning and purpose – in offering the 8 week mindfulness training groups to members of the public, and to professionals interested in learning more about the power of mindfulness in promoting health and well-being. I have been teaching these eight-week courses in the Suffolk coastal District since 2004 and currently offer two courses running in parallel; one from Framfield house medical centre in Woodbridge, and the other from Quay place in Ipswich (see details below) They run three times a year: the New Year, spring, and autumn – following the pattern of the school terms. We are currently recruiting for the September courses. Since the publication of the “Time”, January 2014 in the U.S. led with a front-page cover of a blissful looking young woman meditator and the phrase “the mindfulness revolution” in heavy block capitals, it has been becoming abundantly clear that this as a form of mind training and personal development has caught the public imagination – and is becoming part of our big institutions and corporations hopes to keep their workforces content and productive. Whether or not this generation of adults will take the initiative to seek training – or stumble across it perhaps as a component of their treatment for a mental health condition – the next generation will have some familiarity as they step forwards into the chaotic, driven competitiveness of contemporary adult life. Mindfulness programs are being made available at both primary and secondary level as well as in higher education and I suspect it will not be long before mental health and well-being education takes its place in the curriculum alongside P.E. It is vitally important, – as we grow as communities of people who have learned to observe and manage better their inner experiences – that we turn our mindful attention to our institutions, corporations, – indeed our very systems of political and economic exchange – in order to create working and living environments that are less toxic, more nurturing. So – that’s the prize in the longer run, not just a means of patching us up to better cope with toxic conditions. Mindfulness taught holistically will encourage greater sanity at both personal and collective perspective. So – seize the day, taste the coffee, smell the roses – all that, and much more. Consider – you, or someone you know – joining us this time? I’d be pleased to hear from you? The cover story functions as a good call to action – AND, if you follow the suggested links in the article you’ll find a wealth of research papers supporting the proposition as something substantially more than wishful thinking. 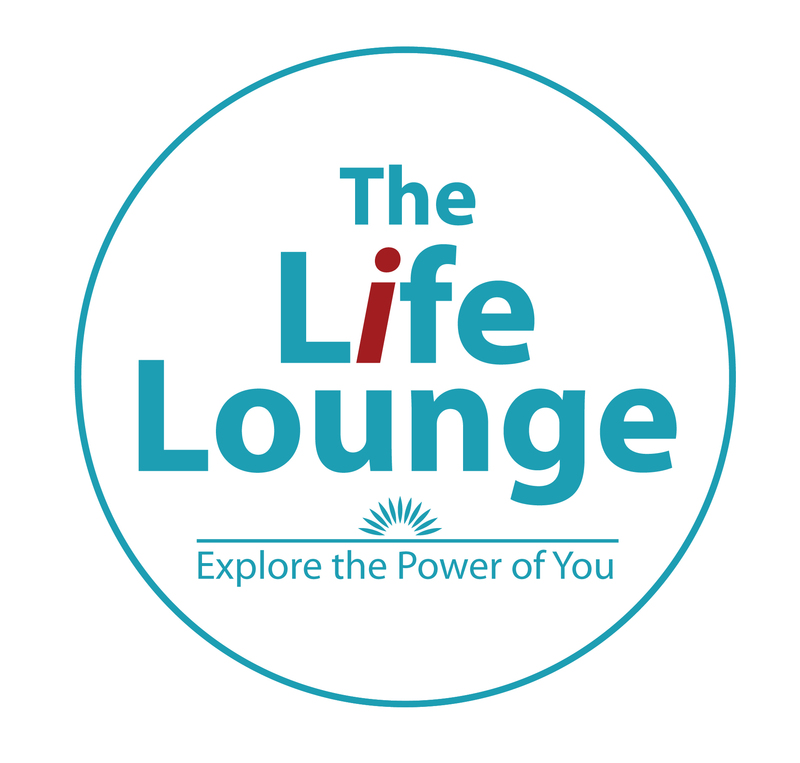 Do you want a place at the next Life Lounge on Thurs 13th April – if you have not yet booked your place just simply send me an email. 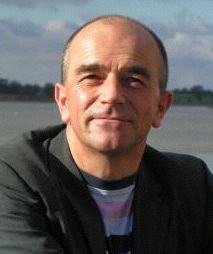 We are delighted to welcome Mindfulness teacher Martin Wilks as our guest presenter. Perhaps you know the serenity prayer: “Give me the courage to change that which can be changed, the serenity to accept that which cannot, and the wisdom to know the difference”. Powerful and insightful words. What if you had method for personal development that promoted this kind of behavioural flexibility. Martin will be showing us a model that integrates six core processes to optimise flexibility. They help us change our behaviour so we can live our lives with purpose and meaning, and in line with our values. Martin will introduce to the 6 core processes via ACT (Acceptance and Commitment Training) – an integration of Mindfulness and CBT which is more than the sum of its parts. 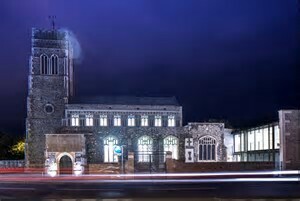 This will be a taster ahead of a two-day experiential introduction workshop in Ipswich in the autumn.